Choosing the best starter DSLR camera is easier than ever. Best entry-level DSLR cameras: what to look for and what to buy in 2019. For those making the jump to a digital SLR, we break down the year’s top entry-level camera models. Enough of photographs from your point and shoot smartphones? The time is right that you make a choice for an entry-level DSLR camera for some serious photography. A DSLR in your hands looks cooler than a smartphone, no matter how good smartphone camera is. Entry-level DSLR camera offers a more professional look, a lot more manual control, interchangeable lenses and bigger sensors along with an obvious far more better image quality. When transiting from a smartphone or a compact camera to DSLR, choices are varied and making the best choice in the field is no laughter. Features in a DSLR camera and your pocket will keep on fighting until the right choice is made! Shifting your photography skills to DSLR brings you an outstanding image and video quality. If you are worried about the learning curve, it is quicker than baking a cake. Entry-level DSLR camera is relatively easy to use with a range of both automatic and manual shooting modes. To start with, stock lens is the right choice, but you may add prime or zoom lens later as soon as you start mastering photography skills. Compact DSLR camera body, great image quality for its class, user-friendly controls, and outstanding battery life. Due to lack of Wi-Fi, snap Bridge features are limited. No touch screen and is somewhat reflective. The D3400 camera is the next in line to Nikon D3300 entry-level DSLR camera equipped with a traditional 24MP APS-C CMOS sensor. Having the same dimensions than D3300 and a little lighter in weight, Nikon D3400 comes with a wireless connectivity of Bluetooth. If you are new to DSLR photography and planning to hunt for a decent DSLR camera which may offer all entry-level DSLR camera features with a little more in proficiency, Nikon D3400 camera won’t let you down. It offers full manual control along with RAW format editing, able to produce the spectacular quality of images. The build is sturdy, and the feel is comfortable. Shutter button falls perfectly at the right place and dial mode offers many advanced modes (P.A.S.M also) that you’ll like to try when you climb the stairs of learning DSLR photography. Wi-Fi is a thing one might miss in Nikon D3400 camera, but Nikon justifies it with an enhanced feature of Snap Bridge app using Bluetooth technology. Image sharing between your DSLR camera and compatible smartphone can be done in a jiffy using snap bridge technology and posted online with great ease. A high-resolution screen at the rear enables to feel the real image quality, however, it is fixed and not touch screen which limits the ability to capture at odd angles. 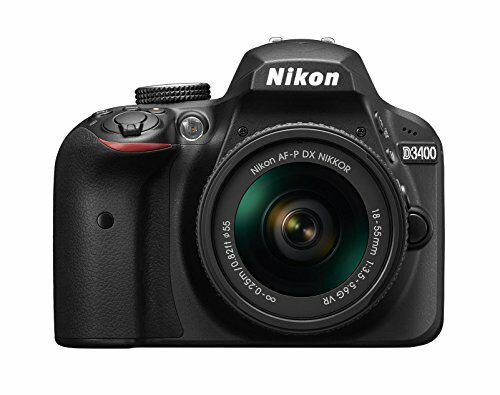 Nikon D3400 is a camera of perfect specs that has all the capabilities to become a great choice for most people trying to begin with DSLR chapter. A Perfect 5fps burst shooting capability, EXPEED 4 image processor, 11 points AF and adjustable ISO ranging from 100-25600 to shoot pictures in low light makes it a vibrant choice in the list of best entry-level DSLR cameras. A perfect user-friendly interface, excellent touchscreen control and live view Auto-Focus performance, it is a great choice in a decent price range. Small viewfinder and video limited to 1080p with no image stabilization, make the beginners think more deeply about the downsides. 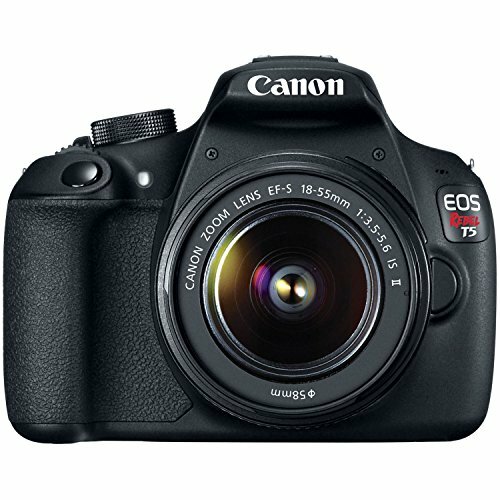 Canon Rebel T7i DSLR camera successfully makes it to the list of best entry-level DSLR camera owing to its great features and image quality. Equipped with latest DIGIC 7 imaging processor and Canon’s 24 MP sensor, it can produce a remarkable image quality using its 45 AF points. As regards to its predecessors, Canon has improved a lot in AF points, starting time of camera and battery. Canon boasts of enhanced battery timings lasting up to 820 shots per charge and that is really a considerable figure. The camera’s body is plastic made, yet very compact and comfortable to grip. A little heavier than rivals of Nikon, but it beats them when it comes to other features like screen. Unlike D3400, Canon Rebel T7i camera comes with a vari-angle touch screen which enables to shoot at low angles as well. Optical viewfinder remains at par with Nikon D3400, able to capture 95% of the view as most of the cameras of this class are capable. Image quality remained commendable with sharp colors and well-balanced exposures. Low light exposures were exceptionally noise-less, thanks to a grand ISO range of 100-25,600. Noise in low light exposures was controlled exceptionally well even when camera’s internal noise-reduction option was disabled. Like its rival D3400, 4k video and Wi-Fi remains missing but Bluetooth connectivity is smooth using camera connect to easily transfer your images to smartphones. Canon Rebel T7i has a lot to offer under the hood for entry-level photographers. As regards to its features and specifications, it renders a strong competition to its rival Nikon 3400 and is a good choice for its price range. The Canon Rebel SL2 comes with a 24MP APS-C image sensor and new 18-55mm STM lens. Selfie friendly LCD touchscreen lets you have some amazing selfies for reminiscence. Unlike other competitors of its kind, it comes with only one command dial and just 9 Auto-Focus points. When it comes to cameras, Canon seems to put a lot of hefty efforts. Rebel SL2 entry-level camera is a refined example of its series. Second generation, compactly designed camera, with a lot of features tucked into a small size. Equipped with 24.2MP APS-C CMOS sensor, Dual Pixel autofocus (for live view and video), nine-point autofocus and a strong DIGIC 7 image processor, Rebel SL2 camera is a decent choice for an entry level photographer. Although being small in size, build is sturdy and solid. It is available in both black and white colors. The 3-inches articulating touch screen is a feature that makes it stand higher than its Nikon rivals. The fully functional touch-screen is capable of performing various touch gestures including pinch zoom. For all the videographers out there, Canon has heard your call. The SL2 entry-level camera possesses a microphone input to bring a new excitement to your memories. The mode dial is set in a way to provide users with a one-stop access to the image or video recording. With all the features and its compact built, Rebel SL2 entry-level DSLR camera is a decent choice for entry level to intermediate photographers. Feature assistant makes it easier for beginners to play with. The absence of 4k video is a con, but 1080p video results are not that bad. 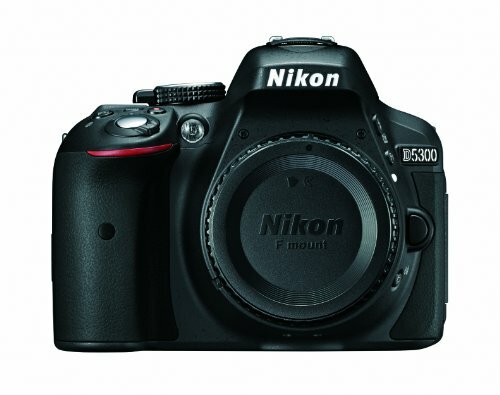 Nikon D5300 camera comes with the major upgrades in the form of a new, high-resolution 24.2MP and a good battery life. Great image quality and better high ISO performance. Continuous burst shooting gets stuck with the highest quality 14-bit RAW files. Wi-Fi limited capabilities, Slow Live View AF and an average GPS receiver. Nikons’ D5300 camera has entered the market of DSLRs after its predecessor D5200. Though Nikon D5200 was a successful upper entry-level DSLR camera that offered remarkable image quality results and various other features, D5300 is the new successor that is surely an appealing enhanced version. Visually, D5300 might seem similar to its predecessor D5200 camera, but various feature add-ons close the chapter. The increased screen size of 3.2 inches and an improved battery life distinguish between the two models. Although the screen is a vari-angle screen the users might miss the touch screen feature which is being provided by cameras of similar class and price range. Built-in Wi-Fi for image transfer and provision of GPS for geo-tagging of pictures is a plus. For the first time, these two features have been accumulated in a single body and that has to be appreciated. GPS lets you browse photos on computers location wise using a geo-tagging feature. 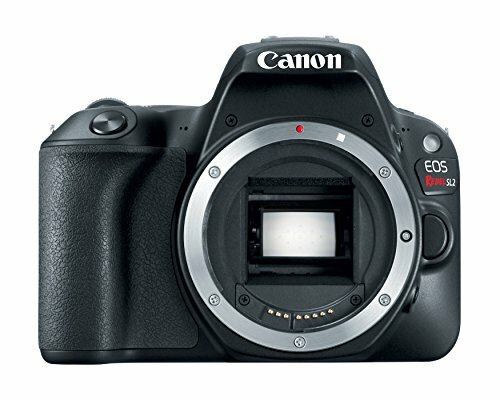 EXPEED 4 image processor, 39-point AF system, 9 sensors cross-type and 5fps continuous shooting grants this DSLR camera a higher grade in entry-level DSLRs. Video recording is not 4k, still gives a spectacular result in 1080p60 video recording with a stereo mic at the top. Armed with enhanced features, remarkable image and video quality, strong image processor, spectacular connectivity and built-in geotagging, D5300 camera is considered as an upper-grade entry-level DSLR. The simplicity of use has been a hallmark of Nikon’s D5300 DSLR. A versatile camera with grains of simplicity, featuring Wi-Fi and GPS and perfect grips. A decent choice for beginners. Spotless image quality with an on-screen shooting guide and raw picture processing. Appealing ISO range and a handy screen make this camera favorite for the beginners. The inability to autofocus while recording and slow focus in live video. Sometimes the entry-level photographers and students who are new to photography are tight on budget and look up for options which provide enough features to start with, in an affordable price range. Well! Canon Rebel T6 falls rightly into this category. Rebel T6 is quite cheaper than a lot of available cameras with almost same features. Image sensor remains same as Rebel T5 at 18 MP with an improved version of processor DIGIC 4+ and 9 point autofocus system. These specs are enough for great image quality but as regards to the sensor, the market is saturated with cameras who offer 24 MP for an entry-level DSLR camera. Exterior body is made of plastic, though a tough one and grips are textured in nature and modestly designed to offer a comfortable hold. The battery of T6 when fully charged offers 500 shots without a glitch, but it is slightly less than what other rivals offer. Again! Canon justifies it with its cheap price tag. Video can be recorded up to 1080p30 with an average quality. The camera is equipped with an inbuilt Wi-Fi and that is something exuberant when compared its price range to its rivals. Expecting a geo-tagging will not be a fair deal for a camera of the lower entry-level DSLR camera. Canon has seriously worked well with the specs sheet vs price tag and has brought us a camera for those who are willing, to begin with, SLR photography. But if you want a traditional DSLR, try Nikon D5300 or Canon Rebel SL2 in the list. With the features included, the users can take the best shots with a high resolution 24.2 megapixels sensor that produces great images. Inbuilt Wi-Fi, an articulating touchscreen, and a 39 point AF system sum up the specs very nicely. Autofocusing speeds aren’t that much good as other rivals possess. GPS is missing. Nikon has always lead the market of DSLRs and brought exciting new features in compact camera bodies to surprise its users. Nikon’s D5500 entry-level DSLR camera is a successor to D5300 with a missing GPS and addition of a touchscreen. Nikon D5500 camera features the same 24 MP APS-C sized sensor and EXPEED 4 processor as its predecessor D5300. A pretty decent ISO range of 100-25600 makes it convenient to capture low light scenes in an effective manner. 3.2-inch screen is vari-angle similar to D5300 camera but this time Nikon has pleased its users by making it a touchscreen. The optical viewfinder is traditional capable of capturing 95% view with an eye detect sensor. This means when you put your eye on the viewfinder, LCD is turned off. Considering its look and features, the Nikon D5500 camera has a smaller and lighter body with an enhanced textured grip. Battery life is improved from 600 shots per charge to 800 charge shots and that is indeed a significant improvement. Video performance is certainly at par with the other rivals and is capable of capturing 1080p/60 with an addition of flat picture profile. Image quality is remarkable in tones and contrasts. 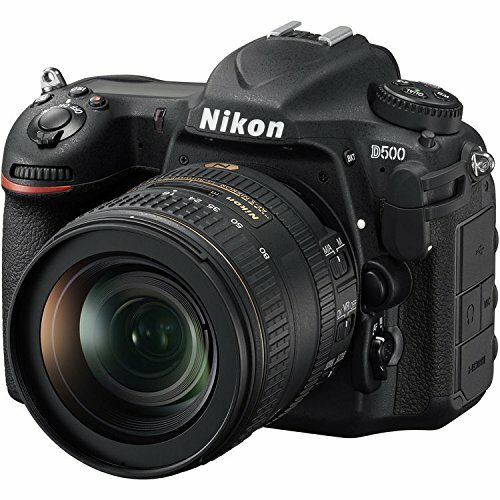 With its marvelous performance and remarkable features, the Nikon D5500 camera is roaring in the market as best entry-level DSLR. Within its price range, this is undoubtedly the best choice for a beginner photographer. Weather-sealed KS-2 DSLR camera with the articulated screen and excellent image quality. NFC makes it easier to sync with NFC enabled devices. Best available Pentax DSLR which is loved by the real photographers. Pentax KS-2 camera has a bit slow startup with an average battery life. Limited movie mode, slow Wi-Fi and no touchscreen. Pentax has to put in a lot when your rivals like Nikon and Canon are so renowned and settled well in the market, but fortunately, Pentax is delivering more than expected. Pentax KS-2 is one of the smallest entry-level DSLRs in the market that is weatherproof also. To maintain this headline, the new kit lens is also retractable, which makes the overall package so small that it can easily slip in your camera bag. Molded in plastic body with deep grips, available in white and black colors and all parts rubber sealed effectively, speaks of the compact design and touch of class. 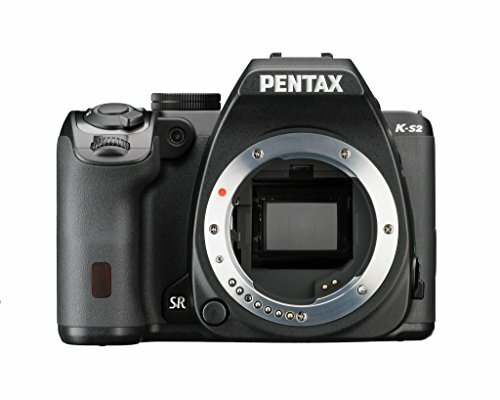 Featured with a fully articulating screen that is first of its kind in Pentax camera allows shooting at all odd angles. The viewfinder is made of glass pentaprism and allows 100% view capture which is rare in entry-level DSLR camera of similar class. KS-2 camera is armed with a 20 MP APS-C sized sensor and ISO range of 100-51200 which speaks of its performance in low light exposures. 11 point AF system equipped with KS-2 is the best one available in the market for this grade of cameras. Talking about connectivity, KS-2 entry-level DSLR camera features a built-in Wi-Fi and NFC for better and faster sharing between devices. It uses a free native image sync app for quick transfer of images. With any NFC enabled device, image syncing can be done in a jiffy without any hurdles. One feature that Nikon and Canon have failed to add but Pentax took the lead is sensor based SR (Shake Reduction) system for more stable image capturing. This feature lets you take a snap even with one hand and is more reliable in image stability as compared to Nikon and Canon’s lens-based stabilization. Bringing all its rivals in a good competition, Pentax has proved to be more than an average DSLR. Exciting features and weather sealed design make it an appealing choice for entry-level photographers. The only weather sealed DSLR camera in an affordable price range. Sleek and compact design with spectacular image quality. Great entry level DSLR camera with high pixel count and a perfect image quality with easy to use great guide mode. Quick drainage of the battery due to the detailed menu screen. No built-in Wi-Fi and articulating screen. When it comes to simplicity, Nikon offers its D3300 entry-level DSLR camera, as this is the most basic entry level DSLR available with Nikon stamp. A little miser in features in regards to Wi-Fi and articulating screen, which Nikon did not offer in D3300, it is still equipped with a powerful 24 MP sensor that lets you capture every possible detail. Equipped with a powerful EXPEED 4 image processor, 5fps continuous shooting ability, 11 point autofocus system, and wide ISO range of 100-12800, D3300 proves to be a better choice than its predecessor D3200. Nikon D3300 entry-level camera is available in black, grey and red variants. The design is quite similar to the D5300 camera, but this time the screen is fixed. Connectivity is another shortfall, where the absence of Wi-Fi makes it difficult to transfer images quickly. The strong processor has increased the battery life from 540 shots to 700 shots per charge but D3400 camera offers a battery life of 1200 shots per charge. Image quality is spectacular and videography is also excellent, rendering 1080p/60fps video quality. Nikon has graciously added a built-in mic for videographers and an HDMI output for quick playback. Nikon D3300 is a decent choice for those opting for a simple entry-level DSLR camera with exciting features and excellent image quality. However, with an emerging trend of connectivity concerns, it might miss the attention of many users. Wireless communications and continuous autofocus in video is average in performance. Particularly for the entry-level DSLR camera, Pentax has once again reserved few features like a weather sealed camera and a shake reduction sensor to its name but that’s not to say it is perfect in all respects. It sports a 24 MP powerful sensor, first of its kind in Pentax and quite a wide range of ISO from 100-102400, dictating remarkable performance in low light environment. Sensor-shift image stabilization, fully articulated screen, 11 point AF system, built-in Wi-Fi for enhanced connectivity and pentaprism viewfinder able to capture 100% view are few dominating features that make this DSLR camera better than its competitors. A little disappointment in regards to battery life which offers only 410 shots per charge which is less than any of DSLR camera of this class available in the market. 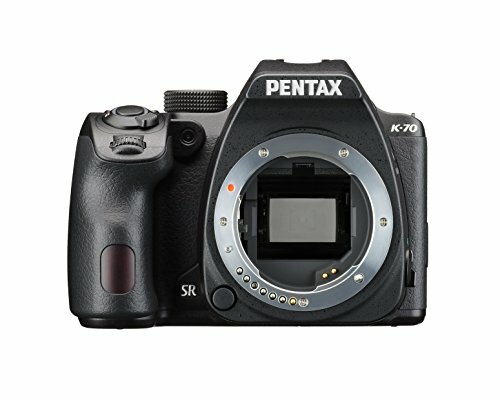 Charged with a strong image processor to produce excellent image quality, videography, and noise performance, Pentax K-70 camera has a lot to offer to entry-level photographers. The camera being weather-sealed and quite competitive in nature offers some exuberant features that set it out as a spectacular entry level DSLR choice. With a good handling, fast AF system and superb touch screen. Low-density AF point coverage and few focusing issues. Canon Rebel series launched T6i and it has emerged as a great entry-level DSLR for beginners. Perfectly designed DSLR with a sturdy feel when gripped firmly. Performance in live view is better than the previous Rebels. The Hybrid CMOS AF III autofocusing is quick and fast and this makes Canon T6i a tough competitor in relation to AF. 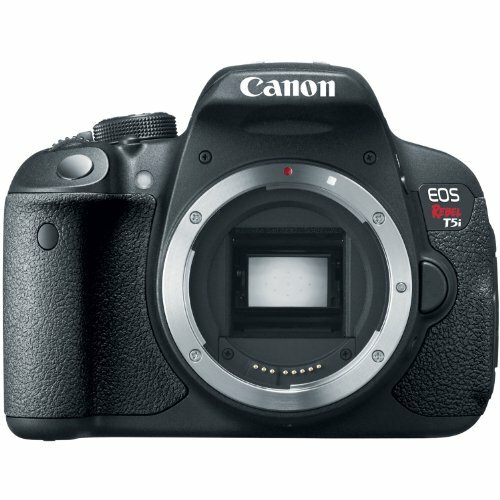 With an advanced 19 AF points, the T6i camera is a considerable update to the Canon T5i and more versatile option against the Canon T5 camera. For professionals, image sensors might not make a difference, but Canon still decides to finally upgrade the Rebels to a 24.2 MP APS-C CMOS sensor. The new models of Rebels are equipped with DIGIC 6 image processor, hence the cameras are quite responsive at 5fps. Although photography being forte of T6i, it needs to improve on video quality. While its competitors are able to produce 1080/60p, Canon has stuck itself to 1080/30p video recording for now. Even though T6s entry-level DSLR cameras are the ideal pick among T6i and T6s, but for new photographers, T6i can be a good choice. 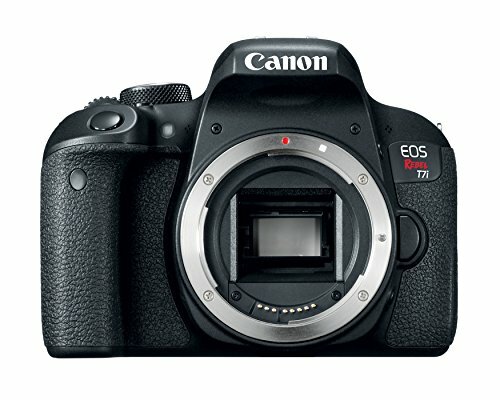 If you don’t have the collection of Canon lens, you will definitely be in need to compare the DSLR cameras in the market but T6i will not be a bad entry-level DSLR camera at this level. Excellent image quality with the time-lapse feature. Equipped with superb battery life. 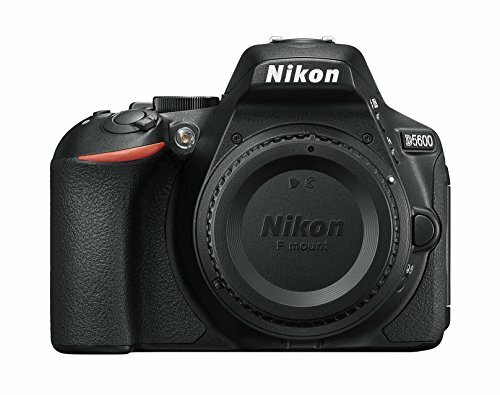 Nikon D5600, being smallest and having great connectivity manages to get a good place in the list of entry-level DSLR cameras. Armed with 24 MP sensor, this camera has some extra-ordinary image shooting skills. Addition of time-lapse feature has made users so glad, which allows shooting time-lapse movies along with exposure smoothing function. This lets to adjust light settings as the scene is proceeding as per various light settings. Nikon has reduced the size of D5600 from its predecessor D5500 entry-level camera which is a plus. Adding to the glory, Nikon has managed to find room for a 3.2″ screen at the rear which looks huge. Being fully articulating and touchscreen, it is an added feature that Nikon may boast of. Overall, the camera is comfortable to grip and handy to use. Innovative addition of Snap Bridge is taking this camera to pinnacle of connectivity among the novice users looking for a great choice of entry-level DSLR. Wi-Fi is used instead of Bluetooth to transfer videos in a wireless environment and for remote capturing of still images. NFC still remains missing though. Image quality is remarkable, with marvelous JPEGs of sharp and classic colors providing ample resolution for larger prints and a great degree of image cropping flexibility. Thanks to 24MP APS-C sized sensor and 39 point AF system gifted to Nikon D5600. Weighing the pros and cons together, the pros side of Nikon D5600 entry-level DSLR camera still remains heavier than the other. It is a decent DSLR with an affordable price tag. Beginners will find it a reasonable and an appealing choice and advanced users will appreciate the camera’s fortes of image production. Impressive video options with extended ISO and excellent color reproduction speak out for its class. Canon hasn’t included Wi-Fi technology nor made the rating option easier to access when appraising images. The Canon Rebel T5i is a great pick among the entry-level DSLRs. Being good at capturing video and some perfect still images, this camera has a deep, easy to handle right grip. Special effects filters of this entry-level camera which allows you to shoot with black and white effects will hire the attention of users making a transition from smartphone or point and shoot camera to DSLRs. Image quality is great when shot with Rebel T5i. Only if you reach highest ISO settings, noise becomes noticeable. Hence, low light exposures are decent enough. 18MP APS-C Hybrid CMOS sensor, 9 point AF system (all points are the cross type for better sensitivity), continuous autofocus in movie mode with subject tracking and a fast 14-bit DIGIC 5 processor are enough features to dictate great image production by Canon Rebel T5i camera. Canon Rebel T5i is capable to capture video at 1080/30p or 720/60p which is slightly less than its competitors. However, built-in microphone for stereo sound balances that grey area. 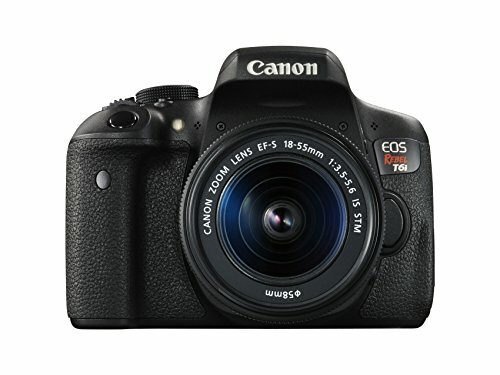 Punching the market rivals, Canon Rebel T5i entry-level DSLR camera comes with some attractive features. Being a versatile camera, it is capable of producing high-quality images. All potential enthusiast photographers are in love with its appealing features while less experienced users are enjoying automatic hand-holding options. Plenty of control over images and responsive articulated screen with built-in Wi-Fi makes this camera to stand higher among the rivals. Viewfinder level can be hard to see and metering problems occur in high contrast that counts as it’s downwards. 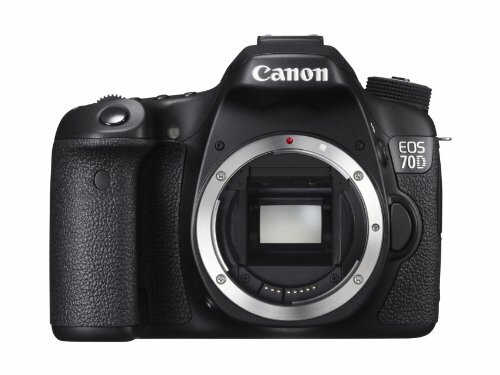 Canon has delivered a spectacular choice in entry-level DSLR camera in the form of Canon 70D. Coming with all the specifications that a photographer would expect, along with a few modern details in a body that feels easy and comfortable in the grip. Canon 70D’s entry-level DSLR camera is capable to achieve phase-detect autofocus meaning thereby, it can not only detect that image is out of focus, but can also determine the degree by which image needs to be adjusted. Due to this, the lens can jump right on to the focus, rather than moving forth and back to achieve image clarity. The phase-detect feature makes it much faster than the 60D. This is indeed a great news for potential enthusiast photographers, but it’s even more exhilarating for videographers. The Canon 70D entry-level camera includes 19 AF system, all of which are cross-type. Talking about image quality, it may be still at par with Canon’s 60D, or EOS 50D. However, the viewfinder and autofocus, do make the EOS 70D camera a very appealing choice. The EOS 70D is a good choice across the board and can serve as a great entry level DSLR for beginners. Good to spend money for this camera as it provides high-quality electronic viewfinder along with fast and capable autofocus. Poor quality LCD screen and over-sensitive shutter-release make it somewhat uninspiring build for the enthusiast photographers. Sony has created an entry-level camera of its class that offers great performance and value for money for enthusiasts and determined beginners, but the unexceptional kit lens, build quality and rear display show that corners have been cut. Having an Exmor CMOS sensor and a BIONZ X processor for outstanding low-light photography and video, Sony a68 gives some perfect and best shots. Battery life is pretty much good which gives 580 shots according to Sony tests. For better audio performance, a microphone has been inserted on the side so that you can use an external microphone. 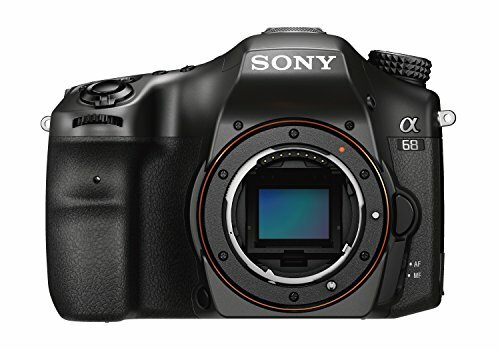 Sony a68 entry-level camera also features a new 79 point autofocus system for tracking the subject very precisely, which is more than any DSLR of this class. It not only has a very fast autofocus system but also creates decisive continuous autofocus. Mode dial comes with all the useful options which include program, Aperture Priority, Shutter Priority and Manual. Panorama and fingertips add to the appealing features of Sony Alpha a68. One thing that could be the concern for the beginner is the camera uses electronic image stabilization for video recording, in place of using sensor-based image stabilization system. But overall, it is a decent entry-level DSLR with great features to start with. Small sized compact design with excellent photo and video quality. Slow live view focus and absence of an articulated screen. The Rebel SL1 entry-level camera does not astonish the market by introducing something new to the breed, still, it is the lightest, smallest entry-level DSLR camera that Canon has released yet. Being more compact and sleek than the T3, the SL1 gives a tough competition with similar mirrorless cameras while still managing basic entry-level DSLR features like full 18-megapixel APS-C image sensor, optical viewfinder, a built-in flash and an off-sensor phase-detect autofocus. The major physical feature that SL1 entry-level DSLR camera is missing is the articulating screen that gives you the capability to shoot at odd angles. As regards to performance, Autofocus feature is the same nine-point system but in this case, SL1 does not compete with the Nikon D5300 autofocus system. The major force is the provision of an optical viewfinder which is not to be found in mirrorless cameras along with the provision of a touchscreen. Video recording is limited to 1080/30p while most rivals are capable of recording up to 1080/60p. However, SL1 possesses a built-in mic for audio recording. If you are looking for a mid-range, affordable and an all-around beginner DSLR, SL1 might be your first-hand pick. If you are a viewfinder buff and do not consider it an outdated tech yet, SL1 can be your type. Compact, light body, easy-to-access controls. Equipped with the optically stabilized lens. Slower autofocus and burst shooting is limited to 3fps. No microphone, No Wi-Fi & No touch-screen. 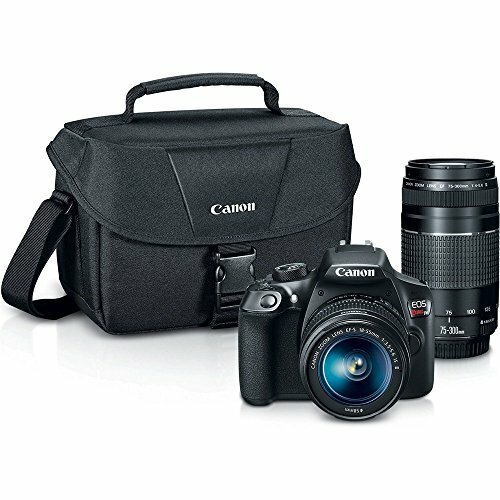 Canon Rebel T5 is a great entry-level DSLR camera, with excellent photo and video quality. T5 is equipped with a sharper 18-megapixel APS-C format CMOS sensor, an ISO of 100 – 6400 light sensitivity range, shutter speeds of between 1/4000 to 30 seconds and capable of shooting video in 1080p. T5 performs remarkably for an entry-level DSLR when shooting in the low light environment by keeping noise to a minimum. Beginner photographers when transit from smartphone cameras to DSLR look for great connectivity options. Built-in Wi-Fi is becoming a regular feature in DSLRs and NFC being an exception in few models. T5 does not seem to have worked a lot in providing extras. Built-in Wi-Fi is not present which becomes a great drawback when compared to competitors of similar grade. But, talking of image quality, T5’s increased sharpness and color tones is observed when comparing to precedent T3. The T5 entry-level DSLR camera enjoys a decent increase in resolution over the T3. 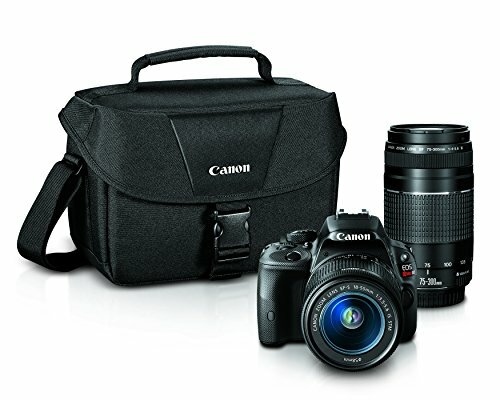 The Canon EOS Rebel T5 features 18 megapixels sensor with excellent image quality in a compact, lightweight, easy grip body that comes in a very affordable price, however, it may not please seasoned photographers due to the absence of touchscreen and built-in Wi-Fi. What makes a great entry-level DSLR? Though entry-level DSLR might be a little low in features and price, yet it can do a lot these days. Yes! Sensor size can be small and built may be ordinary plastic, yet it can bring wonders when practiced well. Best entry level DSLR camera is the one that gets you through the door when you try to maintain a balance between features and price. A good entry level DSLR camera provides you with spectacular image quality, with low noise and low light. It is easy enough to use and handle especially for someone who is new to DSLRs. Moreover, when it comes to manual controls, photographers can gradually jump into it as they step up their skills. Entry level cameras are relatively cheaper and this is how they should be. Entry-level DSLRs have lots of resolution option and the sensor size is larger, which is good enough for low light exposures. Look for autofocus lenses which are equipped with focus motor instead of relying on motors in cameras. Image stabilization and presence of viewfinder are few other features to be considered while purchasing a good entry level camera. Entry level camera is simply an affordable camera with a handful of features that are very user-friendly and mostly automatic in nature. When understanding of features and camera functions is mastered, this entry-level DSLR transits to the next grade in photography. Entry level DSLR is no less in image quality, however, its usability is more user-friendly, mostly working on pre-sets, so as to be more comfortable to be used by newbies. Entry-level cameras offer APS-C-sized sensor and mostly polycarbonate construction as compared to the metallic body in pro series. All Entry-level cameras possess the ability to adjust exposure settings, aperture, shutter speed, and manual exposure modes, thus offering pretty good quality images with enhanced exposures. Next in sequence is the “enthusiast” category, which includes DSLRs with enhanced features as compared to entry level Cameras. These DSLRs mostly provide a combination of automatic shooting options and various modes of manual controls, which allow the photographer to make a shot in a more personalized manner according to the environment settings. When upgrading to a more advanced mode, accurate exposure-metering system, quicker AF performance and faster continuous shooting rate along with improvement in built quality and better grips start becoming part of your game. Video recording is also improved to 1080p or 1080i with manual exposure settings as well. Professional-grade DSLRs are the cream of the companies and are known to offer the highest quality in regard to everything the best camera must do. When it comes to building quality, manual features, sensors, sensitivity, image quality and speed, professional grade DSLRs have the best to offer. Full-frame-sized image sensors and elite image processors which render perfect details and clarity in photography are hallmarks of professional DSLR cameras. By the time, a photographer is using a pro series of DSLR, it is evident he must have climbed all the stairs of photography and is now fully aware of the capability of pro DSLR. A professional DSLR camera lets you capture images using full manual control, with the enhanced ability to further play with more advanced settings like exposure adjustments. It also lets you adjust a wide range of video frame rates for better videography and continuous-shooting speeds for better control over your photography and video skills. What all you must know before buying a DSLR? How much resolution you actually require for perfect shots? This is the basic question which arises when choosing entry-level DSLR camera. First thing first, high resolution or higher MP does not always mean a good quality picture. You need to understand the dynamics of various features involved in producing good quality images. However, if you don’t want to print enlargements, MP is no big deal mostly. The image processor and sensor play a vital role in defining image quality of a DSLR camera. When it comes to imaging quality, the two sensor sizes roaring in the market are APS-C and full frame. Image processor and sensor work hand in hand to allow shooting in continuous mode, video recording and enhanced image quality in the low light environment and ISO sensitivities. Apart from producing high-resolution RAW files, processor aids in high-speed continuous shooting and video recording. You must have heard of term “aperture” quite often but never scratched it to see what’s inside. Aperture is the diameter of a lens’s hole through which light may pass. It is mentioned as f/stops. The lower f/stops give more exposure to light as they characterize larger apertures, whereas the higher f/stops give less exposure as they denote smaller apertures. Understanding this phenomenon to bits can improve your photography skills to the limits. Value of aperture also affects shutter speed. A low f/stop denotes that more light is entering the lens and hence the shutter doesn’t need to remain open for so long to make a right adjustment of light and exposure and vice versa also. You will soon come to know the importance of Depth of field when you start flourishing your skills in photography. The depth of field literally means the distance between the nearest and farthest entity in your image. Larger depths of field allows the almost complete image to be in focus whereas a shallow depth of field will only have a particular object in focus. As a rule of thumb, the lower your f-stop, the smaller your depth of field and vice versa. When it comes to digital photography, understanding of ISO is a must. ISO is the sensitivity that the entry-level camera will have to light. Higher ISO is mostly used in darker environments so as to get faster shutter speeds. However, you may mess with the noise of the image with higher ISO and may ruin your complete shot. Focal length is an optical measurement which means how much of the entry-level camera front is captured by your camera’s lens. Wide angle shots can be taken with a short focal length and vice versa. Focal length should not be mixed with the physical size of the lens itself, rather it defines its magnification. A file format which saves all the attributes of the image without compression. RAW files are then brought out of the camera for post editing in some picture editing tool. Cameras which allow RAW file format are beneficial for adjusting light exposures after taking the shot. If you are a videographer, you need to find the right choice which offers the best in video shooting. Initially, DSLRs were known to be the device that could only handle still images. Later, advancement in the field of video and increase in its popularity, video quality and features in DSLR have improved a lot. Almost all entry-level DSLRs, are capable of recording full HD 1920 x 1080 video for vibrant playback and editing with various available options. If DSLR is equipped with an HDMI output, it even allows direct connection of DSLR to an HDTV for full-quality playback. Never forget to look for audio capabilities of entry-level DSLR. First, search for an external microphone jack and second, a headphone jack. If recording video with a DSLR camera is the main purpose of its use, both of these are a definite necessity. Both DSLR and mirrorless cameras offer professional photography features and interchangeable lenses, however, mirrorless cameras are relatively smaller, lighter and mechanically simpler, faster in performance but hefty in price. Emerging as the latest technology, mirrorless cameras don’t have a complex mirror system, however, DSLRs beat the mirrorless cameras in the selection of lens and presence of an optical viewfinder recommended for use in low light, but their operation is comparatively more complex and bulkier. Professional photographers are slowly and gradually inclining towards mirrorless cameras, as being latest in innovation and advancement. When to Upgrade your DSLR? This question should not hamper your mind until you have spent a lot of time together with your entry-level DSLR. But once you are climbing the stairs of expertise in photography, you soon realize that your entry-level DSLR camera is becoming outdated or too basic as compared to your skills. At this point, ask yourself some questions about your photography skills. Are you making the most of all the features of your DSLR? Have you mastered the low light exposures, focus techniques and other adjustments? Are you now able to click shots that are good enough to proceed further? If all your answers are marked as “Yes” you are good to move one step ahead and start your search for next grade of DSLR camera which provides you with more features, image quality, better grip and a more professional look when you hold your entry-level DSLR camera in your hands!!! !